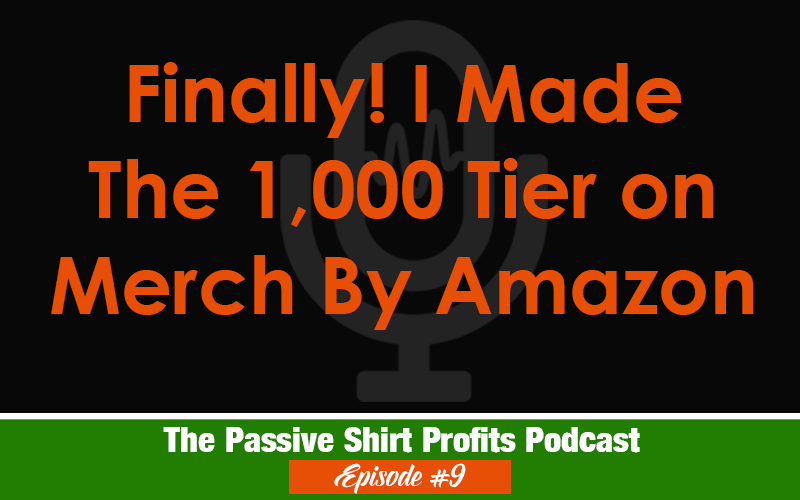 After roughly 4,000 shirts sold and nine months of being in the Merch By Amazon, I finally made it to the 1,000 tier! If you’re new to Merch By Amazon, this means that I can upload up to 1,000 shirts. With Merch, you have to earn your way up the tiers. You start at 10 uploads, then you must sell 10 shirts to get to 25, then 100, 500, 1000 and so on. I have actually sold enough shirts to be eligible for the 8,000 tier, but they are very behind in tiering people up. I don’t even know if many people have been granted that high of a tier in recent months, so I’m just grateful to make it this far. In this podcast I share more about my journey and I hope it’s inspiring to you!